Purchasing a piano is a tough decision these days. There are so many different things to consider when deciding between pianos. 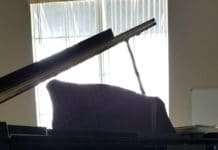 Whether it’s an upright or grand piano, choosing the best piano brand comes down to factors such as price, durability, history, and much more. 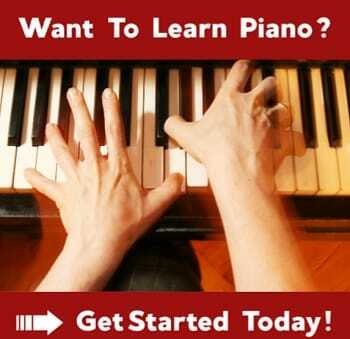 I’m confident that this list has the top piano brands for both novice and advanced pianists. Each of the brands on this list produces upright pianos, grand pianos, and some even build digital keyboards. Keep in mind that this list is not in any particular order. Let’s take a detailed look at each brand to see what makes them stick out from one another. We’ll start with the most recognizable name first; Steinway & Sons. Steinway pianos have a reputation unlike any other. They are universally recognized as the best-manufactured pianos in the world. Their largest piano is the model D which is used in concert halls all around the world. When it comes to branding this is what Steinway does best. Steinway boasts an impressive artist roster who play their instruments exclusively. The pianos are handmade in their two factories in New York City, and Germany. It takes a year to complete a Steinway piano. Currently, they have the capacity to produce more than 3000 new instruments per year. The factory also specializes in rebuilds and special projects. The Steinway Spirio is one of their latest technological advancements. The technology allows people to play historic performances from their favorite artists on the piano via an app. 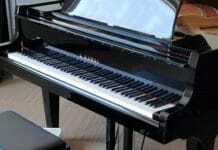 As far as the pianos are concerned, the company produces affordable upright and grand pianos. Their Boston and Essex brands are entry level pianos that feature some of the same materials and build metrics of their namesake models. A new Steinway & Sons piano can cost as little as $65,000 while their bigger models reach all the way to $189,000. Steinway’s biggest competitor is Yamaha. Read our head to head comparison of Yamaha & Steinway here. Steinway pianos are revered for their legendary sound and featherlike action. These pianos are expertly built to allow serious pianists to experiment with different harmonies and colors within any range of the instrument. They are known for their rich and robust sound and are generally not bright pianos. The next biggest producer of pianos is Yamaha. 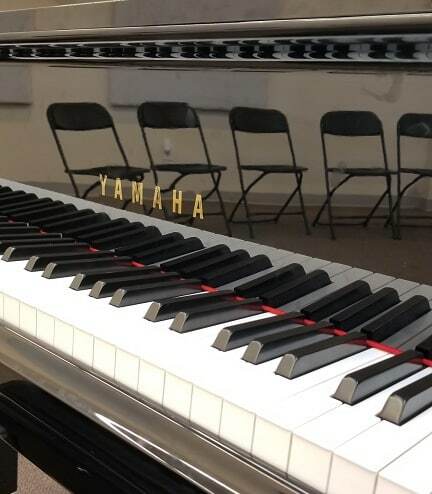 The Yamaha brand is Steinway’s direct competitor and also has a large artist roster. 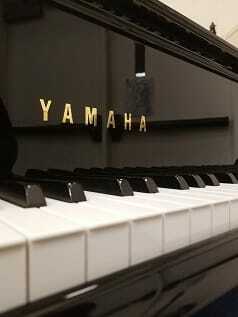 Yamaha pianos are known for their extremely bright tone, making them very popular among Pop and Contemporary musicians. Yamaha pianos are also some of the most affordable instruments with their kind of playing capability. An entry level Yamaha upright piano in an ebony finish costs around $4500. Their most expensive 52″ vertical piano costs just under $19,000. Yamaha grand piano models like the GB1K start at $14,000. Other models just north of this price range include the GC1M and GC2. Yamahas large 9′ concert grand costs around $189,000 which are the standard for pianos of that size. Overall pianists who own Yamaha’s are very pleased with them. They provide consistent action and tone qualities and are durable thanks to the quality of wood and inner parts. They also produce an impressive line of digital pianos including the Clavinova and Disklavier technologies. Have a look at the best digital pianos from Yamaha here. Fazioli is a much newer brand than the two mentioned above, but they have quickly made a name for themselves since the late 1970s. They produce around 140 pianos every year, and each is handmade in Italy. The manufacturer prides itself on using the latest in sound technology and woodworking to create some of the worlds best-playing pianos. They also offer special customizations such as a rarely used fourth piano pedal and extra keys as Bosendorfer also offers. When one plays a Fazioli they are truly getting a handmade piano that’s near perfect. Fazioli pianos are known for their bright tone, not just in the treble region but also in the bass. Fazioli has an amazing soundboard that sources its wood from Italy. It’s the same wood found in Stradivari violins. While there is a little less you can do when it comes to creativeness when compared to a Steinway, these pianos hold their own. Listen to the differences between Fazioli and Steinway here. Fazioli offers several sizes of concert grands including a model that’s over 10′ long! They also specialize in luxury style pianos, often engraving them with precious stones and carved designs. They also plate many of their action parts in 18K gold for further protection. Bosendorfer is a heavyweight brand in the piano world. The Austrian piano builder was founded in 1828 and makes some of the worlds most sought after concert instruments. They are known for their grand pianos that feature extra bass keys and octaves. Some models have 92 keys and others have 97 keys. Their largest model is the 9’6″ 290 “Imperial”. They also offer two upright models, the 120CL and 130CL. Bosendorfers are also widely known for their very deep sound. In all ranges the piano produces a dark tone, however, there is a fullness to it. It’s not nearly as bright as a Yamaha and it offers a bit more depth than a Steinway. Because of this, Bosendorfer pianos work best for Romantic music, but may not be as sought after for Classical and Baroque works. Have a listen to a comparison of Steinway vs Bosendorfer piano sound here. Bosendorfers have a unique construction. For example, the rim is built with several spruce layers as well as a removable capo d’astro bar. The thickness of the spruce rim allows for better resonation. Bosendorfer also uses more spruce wood than other piano builders. The strings are unique in that Bosendorfer spins them in house. They use up to two layers of copper on their steel strings. Like Steinway and Yamaha, Bosendorfer also has been the choice of concert artists such as Valentina Lisitsa, Mark Gasser, and Robert Silverman. If you’re in search for a more affordable piano brand without sacrificing quality, then Mason and Hamlin pianos are worth a look. The company was founded in 1854 and is one of the original pioneers of great American pianos. They started producing pianos in 1881, and since then have had several owners. They produce between 200 – 4000 pianos each year, focusing less on mass producing and more on quality construction. The overall sound of Mason and Hamlin pianos is on the brighter side but can lack a bit of depth that the more expensive pianos offer. These pianos sound incredible if they are voiced well, but lend themselves better to Jazz or Contemporary music. The company features one satin ebony upright model listed around $24,000. Their 9’4″ grand piano costs $120,000 which is significantly cheaper than any other piano of that size in the market. On the used market, one can purchase a Mason and Hamlin piano for about 1/3 of it’s MSRP. A piano brand gaining fast popularity for it’s rich sound and excellent voicing is Brodmann. As an owner of a Brodmann piano myself, this is clearly one of the best budget pianos available. The CE-175 is less expensive than the PE-187, and measures in at 5’9. It has a copper plate and features a glossy finish on the soundboard as well. It also features duplex scale from the front and back. These pianos maintain their voicing and tuning really well. The bass range powerful, rich, however, it’s not too bright or overpowering. While the piano does not have the warmest or darkest tone, it does have a very good balance all around. I find that the top range has a lot of brilliance making it great for Classical playing and other genres too. Notes above C5 have a nice natural ring to them, and the soundboard resonates while allowing notes to decay naturally. Seiler pianos are another great investment for those seeking an affordable piano with quality. On the used market you can get a 6’3″ Seiler piano for as little as $16,000. What’s unique is that the age of the pianos will be more modern instead of something old. It’s easy to get your hands on a 2018 Seiler piano for under $15,000. Seiler has been making pianos in 1849 in Liegnitz. Their flagship model is the SE-278, a beautiful 9′ piano made with German rod steel and nickel tuning pins. This piano uses Renner action parts and features a white spruce soundboard. This is also their most expensive model with an MSRP of $272,000. Seiler has some excellent polished ebony upright piano models such as the smaller SE-116 and ES-132. Those range from $14,000 – $32,000. Baldwin is one of the most successful American piano brands in history. They are no longer produced in the United States and have moved their production to China. The company began in 1862, consistently offering affordable pianos at every size. Baldwin pianos focus on using innovative technology to deliver great sound and performance action. They use a unique scale design in their pianos. The soundboards are made of Alaskan Sitka spruce. The keys are made of Sitka spruce as well and are properly weighted during production. The pedals of a Baldwin are typically made of solid brass. The soundboard is horizontal grain which has an impact on the tone of some Baldwins. Their upright models do not resonate as much as their concert grands. I find their concert grands to have a very powerful tone that is also rich. Overall, Baldwin pianos play very well. While the action is not as featherlight as a Fazioli or Yamaha, it is consistent. The tone of Baldwin pianos really depends on when it was manufactured. Baldwins pre-1950s are considered to be their best models. Price points for Baldwins vary. Most of their upright models range between $5000 – $17000. On the used market they are significantly cheaper, often ranging from $500 – $1000. Baldwin grand pianos are priced at $31,000 for their 5’1″ model up to $100,000 for their 9′ concert grand. Bechstein has been producing quality instruments since the early 1850s. They are a German piano manufacturer and have been associated with many famous pianists. This list includes Alexander Scriabin and Claude Debussy. Pricing wise, most Bechstein upright pianos cost around $24,000 – $28,000. The 7’5″ concert grand costs around $95,000. They also produce a 9’3″ model which takes about 15 months to produce. This model features a cast iron frame and adjustable resonator system. The build quality of Bechstein pianos is nothing short of excellent. They have a robust research and development team that focuses heavily on the consistency in their pianos. Bechstein uses CAD software to actually map out their pianos, improving the build every year. Bechstein uses pine for the back posts of the piano, and beech and mahogany layers for the rim. Once glued together the wood goes through a longer maturing process so that it maintains stability at all tension points. The soundboard is made with spruce wood from the Alps. These pianos are known for their depth of tone. They produce a nice brilliance in the treble range that is well supported by the well-tuned bass. The deeper notes always come through well leading to less harmonic conflict. The midrange is also well balanced and the sound resonates well when the lid is open. Kohler & Campbell pianos have been in production since 1896. At the time these pianos were manufactured using innovative techniques brought into play by John Campbell. At the time they were also one of the largest piano builders in America alongside Baldwin. The company offers 12 different grand piano models and 12 different vertical piano models. Their most popular vertical piano model is the KC-118H from the New York Series. This is a 47″ vertical piano that prices around $7000. It features an all spruce soundboard and spruce bridges. It also has wool hammers, a sand cast plate, and nickel plated tuning pins. The back posts are laminated hardwood. This model also has the middle pedal allows for soft play mode. For the grand piano models, the most sought after is the KFM-850 which checks in at around $37,000. It’s a premium grade model featuring a solid spruce soundboard, 15 ply laminated pin block, and duplex scaling. The rim is well made with solid rock maple and laminated beams. Kohler and Campbell pianos have a powerful tone similar to Baldwin pianos. Compared to a Yamaha the sound is much warmer and not as bright. Kohler and Campbell make smaller grand piano models, however anything smaller than a 6’0 grand will leave a lot left to be desired. I recommend choosing a larger grand piano from this particular brand. Kawai pianos are very popular for their dark tone. They offer a variety of uprights and grands, however, there are a couple of models you’ll want to keep in mind. The first Kawai upright model I suggest giving a serious amount of consideration to is the EX Concert Grand. This is a 9’1 concert grand with Millenium III action and a tapered spruce soundboard. 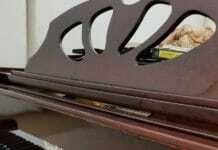 The hammers also use a thick underfelt, and the piano has duplex scaling in the front and back. Overall, Kawai only produces 20 of these models every year due to the rarity of parts needed and the craftsmanship procedures. The piano costs about $197,000. Have a listen to the SK-EX below. A smaller model more ideal for the home but still excellent in performance would be the GL-30, GL-20, or GL-30. These pianos are all under 6′ in size. Each model features solid brass agraffes which help guide the tuning pins for better stability. The soundboard is also tapered solid spruce, and the piano features extended key sticks for better control. Like Yamaha, Kawai also produces digital keyboards. They produce concert style digital pianos, consoles, synthesizers, and more. Bluthner produces excellent grand pianos. The company builds pianos in Germany, and at one point was producing 5000 pianos per year! Their Model 1 is the biggest of their concert grands measuring in at 9’2″. This model prices at $109,000 which is considered affordable for a piano of that size. They also have pianos between 7′ and 5’1″. Bluthner makes a few upright pianos with their polished mahogany listed near $50,000. Their shortest vertical model is 45″ and their tallest is 52″. Have a listen to the video below to get an idea of what a Bluthner can do. Bluthner pianos have almost a sparkling tone in all ranges of the instrument. The midrange is particularly warm. Most importantly is that the bass notes never overpower the higher notes, allowing the pianist to play as expressive as they want with their left hand. Estonia pianos have been in production since 1950. They are highly regarded for their brilliant sound quality, and ability to work well with sensitive compositions. They are also described as having a “singing” tone which makes them great for lyrical playing. As far as constructed is concerned, a few of the parts are imported to help build these pianos. This includes Renner action from Germany as well as the hammers. They use iron plates that are made in Finland, as well as thick birch wood rims. Unique to Estonia is that they build their keyboards into the rim itself. What Estonia also does is set the bridge of their pianos individually by hand. This means each bridge is positioned, measured, and the pins are also added in individually. For a complete breakdown on how Estonia pianos are constructed, read here. There are five models available ranging from 5’6″ to 9′. The L168 is their smallest piano available in a sain and polished ebony finish. This model costs just over $41,000. The biggest of their pianos is the L274 which costs over $120,000. While I strongly believe the list above contains the top piano brands one can buy, there are some other excellent brands to also seriously consider. Here’s a list of 5 other piano brands I recommend taking a look at for a beginner to intermediate pianist. Stuart and Sons have been around since the 1990s and makes some exceptional grand pianos. They are Australian pianos that use mostly Australian wood in their construction. The strings are stainless steel and nickel plated to prevent wear and tear. Like Bosendorfer, they have pianos with additional octaves as well. This model features a total of 102 keys. Last year they built their biggest model which features 108 keys. In addition to this, they also offer a fourth pedal used for creating more dynamics when performing. Young Chang pianos are known for their bright tone. They are one of the largest piano manufacturers in South Korea. The company was founded in 1956 and offers a wide range of concert grands. The Y185 is their biggest grand piano and costs around $20,000. It uses Northern solid spruce and features over 4500 action parts. They also use a combination of walnut, maple, and mahogany graded hammers. To help their hammers last longer, Young Chang cold presses the felt. They also use 17 ply layered pin blocks or more tuning stability and durability. There is an abundance of piano brands available on the market. Knowing which one is right for you can be difficult. Each piano has its own particular sounds, characteristics, performance action, and appeal. Generally speaking, the better pianos will always be the newest ones. Here’s a guide on how to purchase a new piano. While new pianos are ideal, they may not always be the best when it comes to budgeting. In this case, you will want to read this guide on purchasing a used piano. Used pianos require much more research such as knowing who the previous owners were, it’s maintenance history and whether the parts inside are still genuine. Before deciding on a piano brand, I recommend reading up more on the history, watching a few YouTube videos of the instrument in action, and testing one out yourself. All of the brands on this list mostly make excellent pianos. Occasionally you may find one that you do not like, but this comes down to personal taste.